My little geekling, Kid #2 turns 15 in July. She wanted to have a glow party/rave for her birthday bash. This summer party will be fun and frugal, as I try to stick to a tight budget. Doing a glow party on the cheap is a struggle. There is a minimum you have to spend on the black lights if you don’t know someone you can borrow them from. And there are lots of glowey things on eBay that look like a ton of fun, just pay attention to what actually glows in the dark, what is just neon and might not glow at all, and what reacts to black light. Before you start buying stuff, you need a little blacklight to test things for a reaction to uv light. You can get a little blacklight flashlight off of eBay for a couple of bucks, but then you have to wait for it to come from the far reaches of the orient. There is a 6″ handheld blacklight on Amazon for $6. My Walmart did not have anything like this. You want to have this with you when you shop for decorations so you can make sure things will glow, and check what you already have in the house for a reaction. In order for any party to be frugal you must fit it closely to your lifestyle and situation. You can host a large gathering and end up spending hundreds on your party, while you were careful and strictly frugal. If you are a stay-at-home mom with lots of time you may be able to make everything from scratch (how many people know a stay-at-home mom with lots of free time?? ), or if you’re a single parent with no time you may need to decide where it is better to invest in an item instead of sacrificing your precious time. Being frugal does not mean not spending money, it means spending your money wisely. 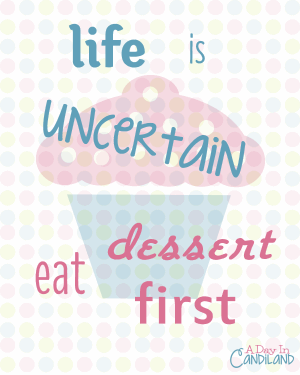 What’s your best tip for sticking to a tight birthday party budget? I usually DIY most of my kids’ party materials and decorations too. Saves me a lot of money and we can customize it according to how we want things to look like! Checked the rest of your series and I’m excited to see how things come together! I’m stopping by from a sorta fairytale’s no rules weekend hop. This sounds like such a fun party idea! What a great party theme idea! 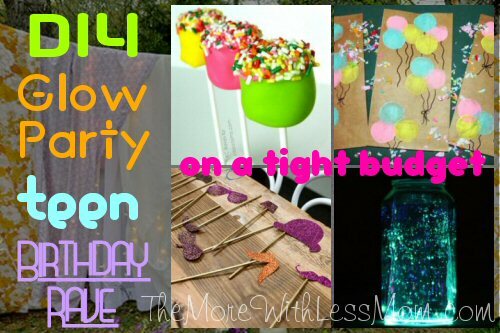 I love the idea of a glow party! I agree being frugal DOES mean spending money wisely. Great suggestions! Too many people think being frugal means denying yourself! I think it just means being smart with your money.